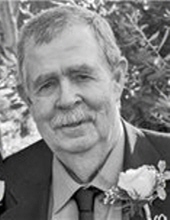 Gary George Storkan, of Yuba City, CA, passed away January 14, 2019. He was born September 27, 1944, in Lynwood, CA. He was a resident of the Yuba-Sutter area for 29 years and was a Contractor, Agricultural Consultant. Gary was 3 years active duty in U.S. Navy from 1962-1965, and 3 years Navy Reserve from 1965-1968. He served in the Vietnam War as a Class 3 Boatswain's Mate aboard the USS Vega AF 59. Gary is survived by his wife, Mary Storkan; stepdaughter, Kristy Thao, step-grandaughter, Kira Thao, and stepson-in-law, Korey Thao of Visalia; son, Kevin Storkan; daughter-in-law, Shelly Storkan, and grandson, Andrew Storkan of Chico; brothers, Dean Storkan of Pebble Beach; and Bill Storkan of Atlanta, GA; nieces, Christine Jennifer of Aptos; Michelle Storkan of Fresno; and Terry Paul of Red Bluff; and nephew, Rick Storkan of Tempe, AZ. He is preceded in death by his brother, Terry Paul Storkan; daughter, Jessica Lynn Storkan; mother, Sarah Louise Storkan; and father, Richard Calvin Storkan. Services are scheduled for Saturday, February 2, 2019 with Inurnment with military honors at the Sutter Cemetery, Sutter, CA, at 11:00 AM, and Memorial Service a tour sister Chapel of Twin Cities, Yuba City, CA, at 12:00 PM. To send flowers or a remembrance gift to the family of Gary G. Storkan, please visit our Tribute Store. "Email Address" would like to share the life celebration of Gary G. Storkan. Click on the "link" to go to share a favorite memory or leave a condolence message for the family.